Easily updatable websites - with content playing such an important part in how opinions are formed, it is essential to ensure that your websites are designed & built on a 'component' basis. This means that visual assets, menus & text can be used in a variety of ways making the creation of addition pages easier & therefore more cost effective. For example, the newsletter menu that you clicked on to access this article, is a very short HTML file that is 'pulled' into many pages automatically by code. This means that as we add new newsletters & online marketing elements, we can update one small file, which then propogates itself across many pages of the site - its quick, easy and effect - taking just a little bit of pre-thought when building the site. Most designers incorporate content management systems into websites allowing clients to update content without technical expertise or to create a better environment for site maintenance & content updates. But 'pulled' pages do not require the same level of coding, time or cost. 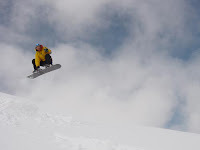 Boardforge.co.uk is a chilled yet funky site for long-weekend 'learn-to-snowboard' holidays. The site was designed to be 'cool', yet friendly, appealing to high-income, time-poor indivuals who have perhaps gotten the bug from seeing the halfpipe snowboarding event in Olympic coverage or have wanted to learn to snowboard for years but not been willing to commit to a full week holiday in the Alps. Search engine performance is key for this site and to promote high search engine rankings, the site can also be found under 'www.snowboardlessons.co.uk'. E-creation completed www.hcandpaccountants.co.uk in January - a simple, elegant site for Hitchins, Cryer and Partners Accountancy firm. As with many accountants, HCandP are in the process of diversifying their offering, which needed reflection in their brand, website and associated marketing materials. Design & content play an incredibly important part in how services organisations are perceived because 'facts and figures' are too 'cold' a method for prospective clients to judge a company when people are looking to do business with people. Whilst a website may be the first port of call for a customer researching an accountancy firm, a website is only part of a marketing mix. Some website deliver huge amounts of business directly if in the right market sector (our website generates over 75% of new business), BUT generally, people looking for an accountancy firm will find a firm through word of mouth or local publications BEFORE checking them out on the web. So, when building a new business strategy for accountancy firms, we recommend your website becomes the middle rung of a new business strategy - keep existing, local methods of communications (Yellow Pages, local papers, events) but direct people to the website where you can use strengths of the web to 'distinguish' yourself, before 'wowing' potential customers with responsiveness, presentation & capability in person (the final rung on the ladder). In January, we completed a CD-ROM for CBD Research - a publishing company for information on associations and clubs within the UK. The CD-ROM, built in .Net rather than Director or Flash, allows users to research, print and save details of over 7,000 associations with an easy-to-use, familiar interface (and with lower development costs). Integrated helps files have reduced support issues for CBD research, saving cost and time within the organisation, an approach which has been adopted by City and Guilds.